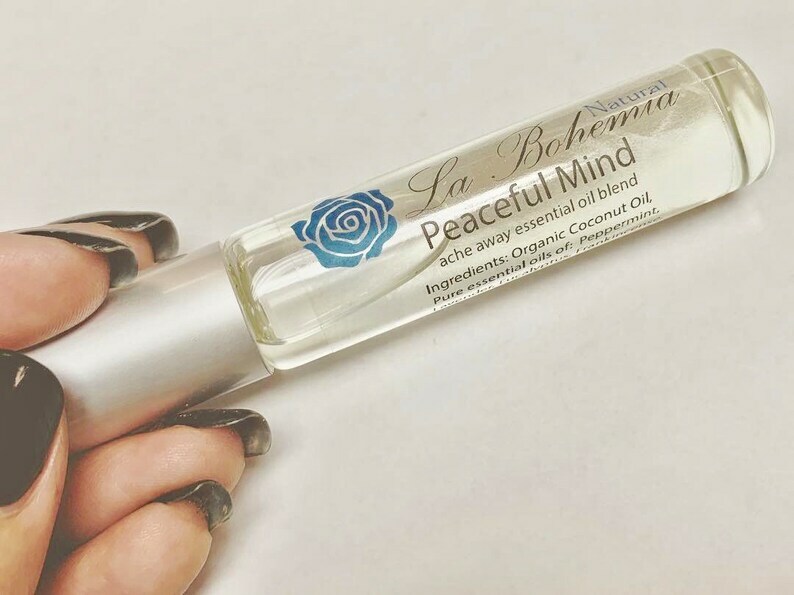 This blend of essential oils derived from healing herbs will melt away your stressful day and leave you feeling wonderful! Use on the temples, behind the ear lobes, or on your wrists. Lovely and mildly scented. The on-the-go glass roll on bottle is so convenient to simply toss in your purse or pocket! All organic and synthetic free.